A group of clubs in Chicagoland. Add your own backyard club to this league! Maldre family, Kreten family, Seger family, Dunker family, membership is open to anyone. Profiles, news, standings, rules, even a store! 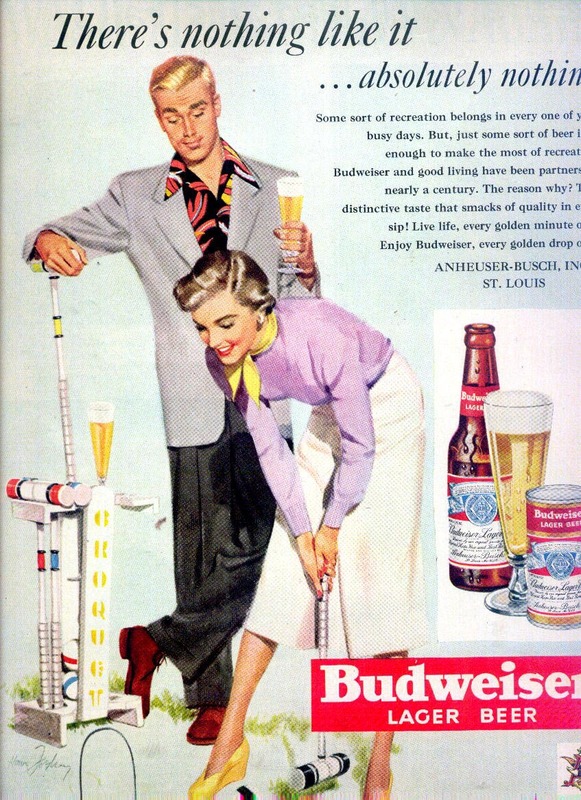 Add your own backyard croquet club! We share two full-sized lawns with a bowling club near Lakeshore and 59th. Floodlights enable evening play. Guests are welcomed, and should call ahead. Do you know of a professional croquet club that is missing? There is only one public bowling green in Chicago, and it's in Jackson Park behi nd the Museum of Science and Industry. The green, which is smooth like a putting surface, is used regularly by the Jackson Park Bowling Green Club, a group dedic ated to a sport often confused with indoor bowling, but which is actually more like marbles or shuffleboard. In lawn bowling, said park supervisor Tommy Davidson, the object is not to knock down pins, but to roll your ball as close as possible to a white ball at the oth er end of the green. It's a game of finesse, not strength. Lawn bowling may be obscure, but Davidson thinks it's worth promoting. He's try ing to get members of the Bowling Green Club to come out to the park "a couple da ys a week" and teach classes in the afternoons. "It's a game such as golf, where you can concentrate and have fun and enjoy natu re," he said. The park's bowling green is also an ideal surface for croquet. Recently, some s tudents from University of Chicago High School asked if they could hold a match t here. Davidson said yes, so the students bought their equipment over and set it up on the green. There's not a backyard in Chicago that's as smooth. Address: 6401 S. Stony Island, Chicago, IL 60637. Phone Number: 312-747-6187. This 89-acre park's outdoor facilities and activities include five baseball fields, three combination football-soccer fields, 16 basketball standards, a volleyball court, 12 tennis courts, a croquet course, three horseshoe pits, three shuffleboards, three playgrounds, a bicycle path, the nine-hole Robert A. Black Golf Course, a putting practice area and an ice skating rink in winter. The indoor facilities include an air-conditioned fieldhouse with kitchen, gymnasiums and a concession/service building. Call the park for details on organized activities. In the park directly south of the Museum of Science and Industry. Learn how to play croquet with United States Croquet Association instructor Bob Kroeger. Instructions are followed by a demonstration game, lunch and open play. Jun. 15: 9 a.m. - 5 p.m.
Price: Players must wear flat-soled shoes. Rain date: June 16, 9 a.m.-5 p.m.
Open Hand Chicagos 12th annual croquet tournament and garden party features a croquet tournament with creatively costumed "theme" teams, a buffet and cocktails, music, a silent auction and raffle. 11am-4pm. $50 guest/$600 team. Lake and Montrose, (773)381-4374. South Suburban Killer Croquet, Games and Conversation 1 p.m. Bring your competitive spirit along with a snack or beverage to share. We will have a BBQ grill going for those who want to bring some meat and a side dish. Games and conversation both indoors and out, throughout the day and evening. This is a nonsmoking event (in the house), with cat on premises. The first four winners of the annual Croquet Tournament in Lanark, Illinois -- which takes place on grass turf -- were amateurs who'd never played before. They learned how to tell a wicket from a center stake at an informal clinic, which will be held this year on Friday night (the 20th). White clothes are recommended, mallets and balls are provided. The free tournament takes place at 540 W. Carroll; call 800-468-2307. This club has events almost every month! Check out their their website for past and future events. Do you have a croquet event in chicago? The Chicago Croquet League is a group of clubs to get together to play croquet in the city of Chicago and its suburbs. All playing levels welcome...from expert to never played before. If you have your own club, you are encouraged to have your club become a member of the Chicago Croquet League. Through this league we can organize times to play and where. This league will also store all results from games played with all the clubs inside our Chicago Croquet League. Right now, the only club in the Chicago Croquet League is the Chicago Croquet Squirearchy of Gentlefolk. We welcome more clubs to form and join. If any club of the Chicago Croquet League plays a game, it would be appreciated if someone can report the results of the game(s). You don't have to previously announce a game for it to be official. i.e. If I play with my relatives, I can call that a CCL game. Or if you just play with your friends, that can be a CCL game. But we will have official planned CCL games for everyone to play too.